Her Royal Highness Princess Maha Chakri Sirindhorn attended the merit making ceremony for the late Mom Rajawongse Sumalayamongkol Sonakul at Makutkasattriyaram Temple, Phra Nakhon District. Her Royal Highness Princess Maha Chakri Sirindhorn attended the cremation ceremony for the late Mrs Phirach Mahadthananondh at Makutkasattriyaram Temple, Phra Nakhon District. 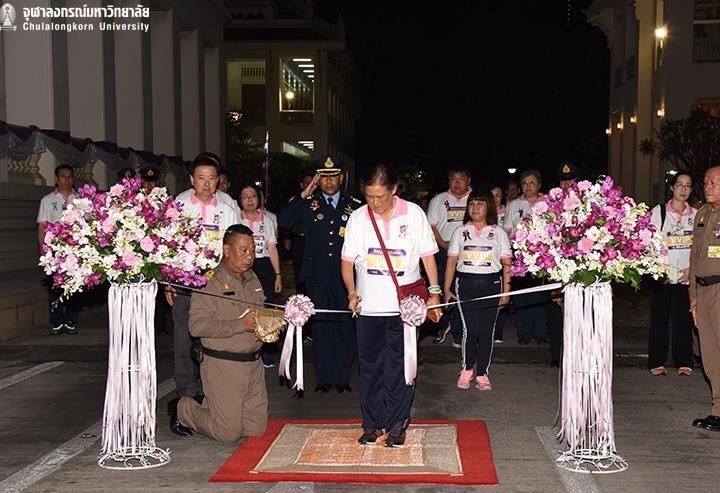 Her Royal Highness Princess Maha Chakri Sirindhorn chaired the charity walk "Akson-Charan 102" at Faculty of Arts, Chulalongkorn University, Pathumwan District.